When it comes to working side by side with a robot colleague, the majority of workers today claim they are “uncomfortable” with idea. A YouGov poll, analyzed by OnBuy.com, showed 54% of men and 65% of women aren’t quite at ease with the idea of collaborating with a machine. In contrast, only a third of men and a fifth of women say they would welcome the prospect of a robot co-worker and fewer still – 20% men and 12% women – claim they would feel comfortable taking orders from a robot manager. 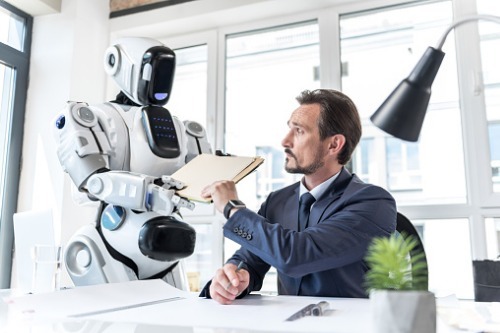 The findings, however, contradict an earlier study suggesting more than a third of employees would prefer a robot CEO to a human CEO. In addition, a survey on workplace automation, conducted by Oracle, revealed 93% of workers would trust a robot co-worker. Part of the anxiety reflected in the YouGov study may stem from people’s perception of artificial intelligence as applied in robotic process automation. Nearly three in five respondents in an August 2018 poll believe machines have either already overtaken human intelligence (21%) or will do so in time (38%). While YouGov last year asked respondents what exactly they considered to be a “robot” – with 61% saying their concept of one encompasses all things “automated,” from driverless cars to automatic vacuum cleaners – the poll failed to specify the concept of humanoid robots in the list of possible answers.